A savoury twist to the sweet french pie! Preheat the oven at 200ºC. Wash the tomatoes and cut slice them. Place a skillet in medium heat and melt the butter. Add the sugar and stir constantly until dissolved and just starts to brown. Remove from the heat and quickly add the tomatoes, garlic and vinegar and stir so they fully combine. Season to taste. 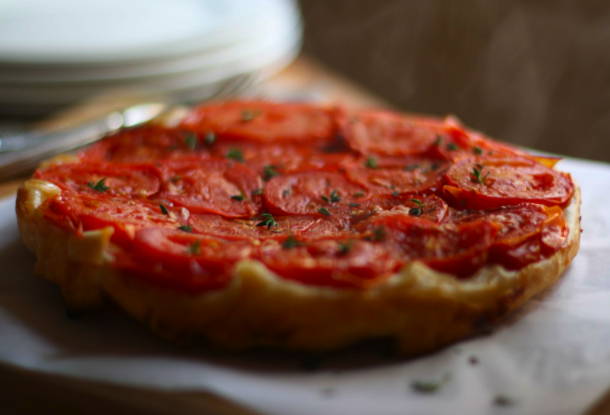 Transfer the tomatoes to a round mold (about 23cm ~ 9 inch) and distribute them well and facing down. 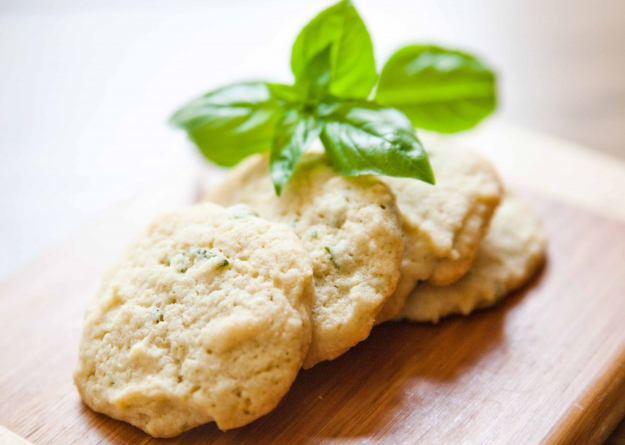 Place the flour, salt, oregano in a food processor. Mix well. Add the butter in cubes and pulse several times until it resembles fine breadcrumbs. If you don’t have a food processor then place the ingredients in a large bowl and use a pastry blender. Gradually add the water, just enough to bind all the ingredients and make a soft but not sticky dough. Transfer to a lightly floured surface and extend with the rolling pin in a circular shape of about 25cm~10inch diameter (a few cm/inches larger than the mold). Prick the dough with a fork to allow steam to escape. Cover the tomatoes with the dough and tuck it on the sides. Bake in the oven for 25 to 30 minutes until it is firm and golden. Let it rest for 2 to 3 minutes; insert a spatula to loosen from the borders. Place a serving plate over the mold and carefully turn it over. Make sure to use oven mitts. Sprinkle with the remaining oregano and serve warm. Source: slightly adapted from Parragon Books. Categories: Recipes, Tomatoes | Tags: hydroponic vegetables, Tarte Tatin | Permalink. Valentine’s Day is just around the corner. If you are considering staying in and celebrate at home, we have a few suggestions (healthy ones we may add thanks to our hydroponic veggies) for your menu. We will be posting more recipes this week, so stay tuned! What is on your Valentine’s Dinner menu? Categories: Recipes | Tags: hydroponic vegetables, Valentine's Day | Permalink. Our hydroponic farm is keeping us busy and we are happy that our customers are delighted with our veggies! Here is a new recipe using broccoli and carrots for a comforting soup, which we hope that our friends in the Northern Hemisphere will find handy to keep warm this season! Make ahead: Wash your veggies. 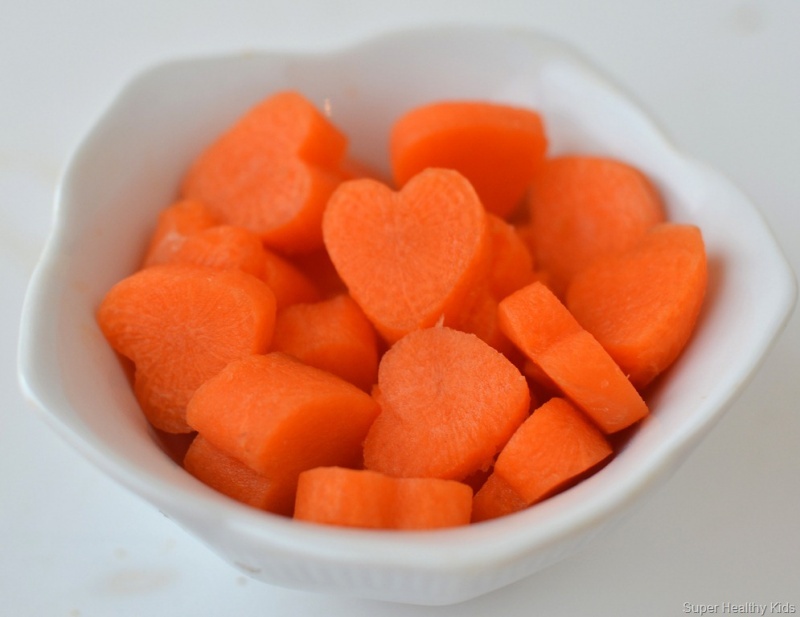 Peel the carrot and cut into small cubes. Cut broccoli florets. Set aside. Chop or grate the cheese and keep in a small bowl. Cut the ‘lid’ of the bread balls and remove filling. You don’t have to discard the filling; you could spread garlic/herb butter and heat in a pan until golden brown. Place a pot on medium heat and melt butter, add chopped onion and minced garlic; cook until crystallized. Pour in the chicken stock and boil. Add the carrot cubes and broccoli. Add milk, reserve ½ cup to dissolve the cornstarch in a cup. Make sure to mix well; pour in the pot. Reduce heat and stir constantly to prevent from adhering to the bottom. Add about 90% of the cheese and stir until melted. Check taste and adjust seasoning. Serve in bread bowls and sprinkle the remaining cheese. Recipe: Adapted from Yammie’s Noshery. 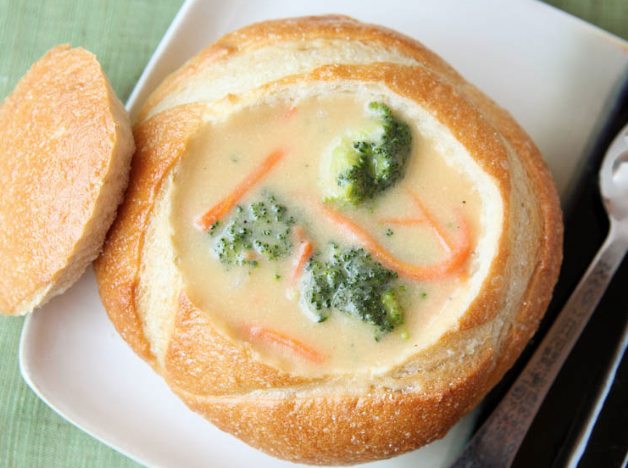 Categories: Broccoli, Recipes | Tags: soup | Permalink. Lindsay’s Cauliflower Sauce (from Pinch of Yum) is quite famous. So we thought it would be perfect to showcase our hydroponic cauliflowers. Saute the minced garlic with the butter in a large nonstick skillet over low heat. Cook for several minutes or until the garlic is soft and fragrant but not browned (browned or burnt garlic will taste bitter). Remove from heat and set aside. Bring the water or vegetable broth to a boil in a large pot. Add the cauliflower and cook, covered, for 7-10 minutes or until cauliflower is fork tender. Do not drain. Use a slotted spoon to transfer the cauliflower pieces to the blender. Add 1 cup vegetable broth or cooking liquid, sauteed garlic/butter, salt, pepper, and milk. 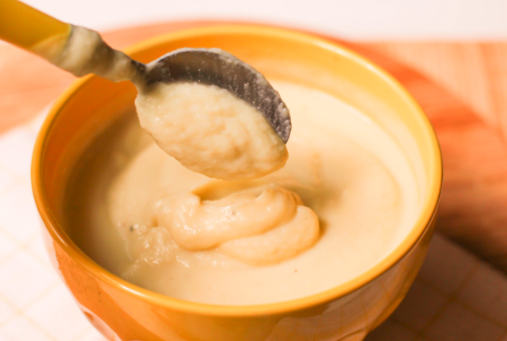 Blend or puree for several minutes until the sauce is very smooth, adding more broth or milk depending on how thick you want the sauce. You may have to do this in batches depending on the size of your blender. Serve hot! If the sauce starts to look dry, add a few drops of water, milk, or olive oil. 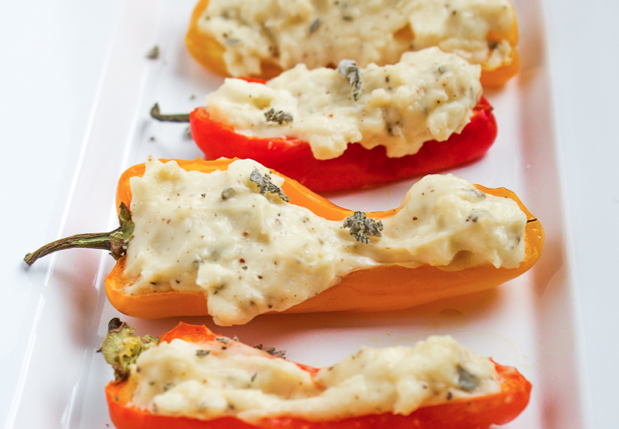 Source: This recipe for Creamy Cauliflower Sauce is from Lindsay at Pinch of Yum. Categories: Cauliflower, Recipes | Tags: hydroponic vegetables, sauces | Permalink. We couldn’t help ourselves to continue with the “all-things-pumpkin” trend. But we have a good excuse, you should try this beverage! Or our cake or salad! Place all the ingredients in a blender. Place the lid; mix well. Pour over a saucepan over medium heat and stir constantly until it starts to simmer. Remove from the heat; pour into mugs. Optional: top with whipped cream and sprinkle cinnamon or drizzle caramel sauce. To make it a latte, add a 1oz shot of espresso to each mug. Slightly adapted from: Five Heart Home. 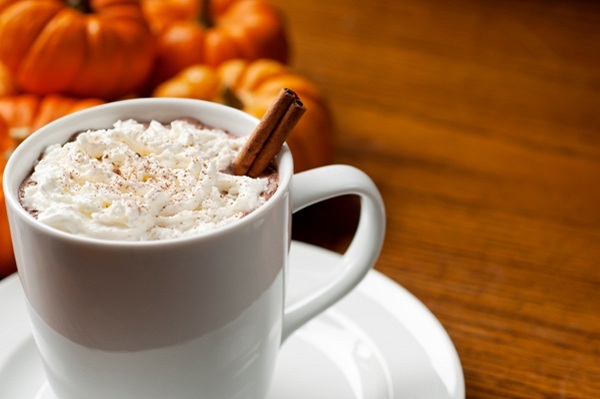 Categories: Pumpkin, Recipes | Tags: beverage, fall, pumpkin drink, pumpkin spice latte | Permalink.